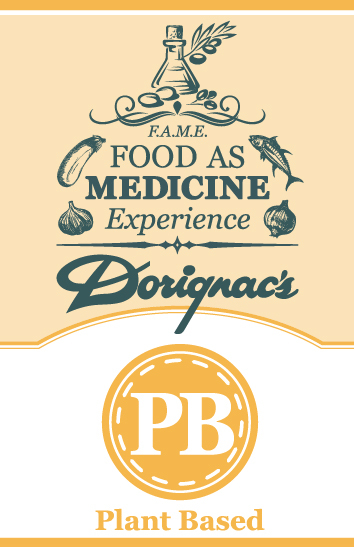 In preparing meat-less meals for Lent here at Dorignac’s we know you have a very sophisticated palate, and the Dorignac’s family doesn’t take your palate lightly. Dorignac’s challenged me to create a vegan lasagna recipe to add to your Lent menu that even your 100% Italian mother wouldn’t turn down and would come back for seconds. I taste tested this on many gastronomic savvy Italians, and their response was “Mamma Mia”. There’s not a stitch of animal products whatsoever, but you would never be able to tell. 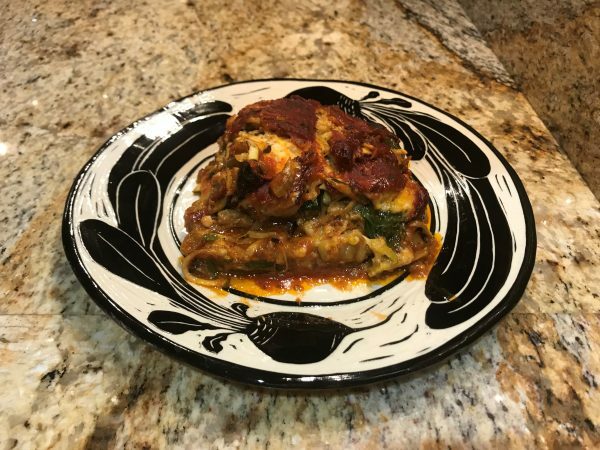 The creamy Miyako Mozzarella cheese melts beautifully, the seeds and seasons make the vegetables pop, sofrito sauce- see below, and oh, by the way, there are NO noodles, so those watching their carbohydrates this recipe is not only low carb….it’s delicious. It’s also chock full of vegetables, fiber, and plant pigments. Preheat convection oven to 350. Slice eggplant into 8-10 thin slices (using ends too). In large bowl dip the sliced eggplant into EVOO, place on a cookie sheet and sprinkle black sesame seeds, oregano, and salt on one side. Place eggplant in convection oven for twenty minutes on each side. When finished place on side. In a skillet, place EVOO and turn on medium heat. Stir fry carrots and parsnips briefly in hot skillet while adding garlic powder for 3 minutes. Press and drain water off then place in bowl on side. In the same skillet as used for carrots/parsnips above add EVOO and 1/2 of anise seeds. Once skillet is hot, place spinach in hot pan for 30 seconds. Briefly stir, remove and place on dry plate to cool. Line lasagna pan with safrito, then eggplant, spinach (lay out as flat as possible), sliced Vegan Mozzarella cheese, carrots/parsnips and zucchini/squash noodles. Repeat one or two times depending on the size of your lasagna pan. Bake lasagna for 35-45 minutes at 350. Allow to cool, cut and enjoy with a crusty piece of warm gluten free bread with a slice of cold vegan Miyoko cultured butter. I like to pair this meal with a crisp Romaine salad, sliced avocado, black olives and Bragg's Vinaigrette. When I make my sofrito, I make 4 quarts and freeze for later. A slow cooked Sofrito, Mediterranean style with the root vegetable celeriac for adding body, chock full of onion, shallot and garlic with fresh wild herbs cooked from glass jars of organic tomato paste. In a large heavy pot, add olive oil with medium heat. Mince the fresh garlic and let it sit for 5 minutes. Saute onions, celeriac root, celery, shallots, and bell peppers until soft and onions are translucent. Add in the fresh garlic and sauté for 2 more minutes. 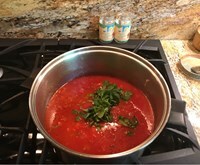 Add in tomato paste and water and blend. Add salt and pepper with a touch of organic sugar and cook down for one half of an hour. Add fresh herbs and cook for another hour. Sautee fresh ground lamb in a separate pan with olive oil and fresh garlic. Add one third of the safrito to the lightly browned lamb and serve. The other two thirds of Safrito can be placed away or frozen. 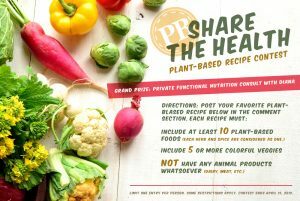 PS: We are still in the recipe challenge so I’m using the minimum 10 plant-based foods with 5 or more colorful vegetables rule of thumb. Reading this makes me very hungry! This recipe worthy of five star restaurant. Not surprising Diana. Will add these ingredients to my Dorignac’s list.